Search engine optimization, or SEO, is the concept of improving site visibility on search engine results pages. The search engines targeted with SEO practices are Google and Bing – with a significant focus on Google. Over the past decade, search engines have become the cornerstone of the modern internet. When a person wants to research any topic, they use a search engine. Whether they want to know the weather, check sports scores or find a restaurant for dinner, they will type a query into the search bar. Google processes billions of searches each day. It is reasonable to conclude that a vast majority of these searches never make it past the first page. If your website comes up on the second or third pages of search results for related keywords, there is a significant possibility that no one sees it. If you are not near the top of the rankings, you may as well not be there at all! With the help of Arc Digitech, you can elevate your website and overall digital presence. We provide the top search engine optimization services in India, helping businesses shoot up the rankings to the top page. Researching keywords is one of the most relevant tasks for creating a successful SEO campaign. Our team of talented digital marketers identifies popular words, phrases, and abbreviations that people may use when searching for related products, services or industries. Looking into various keywords is a multi-layered process. We start by identifying the best performing keywords related to your business. These may include generic keywords, such as an industry, product or service name. They will consist of phrases, which may have the location and other information included with specific words. After making a list of the most competitive keywords with relevance to your business, we research the varied ways that people may use such words. If your business is based in Pune or other parts of India, we will study how people in the area perform searches related to those keywords. Not only does keyword research produce words, phrases and other information that should be sprinkled throughout site pages, it can also help generate topics for future blog posts, videos or ads. The keyword research done by the team at Arc Digitech is an ongoing process. We research keywords every month to ensure that we are not missing out on any trends that could further improve your site ranking. If your business is part of a highly saturated industry, it is reasonable to assume that other companies are vying for the same keywords. Most businesses are aware of SEO and how to improve their site ranking. Our competitive analysis focuses on those competitors, highlighting their strengths and weaknesses. Competitive analysis is a crucial part of the process as it provides us with information regarding successful tactics. Seeing what keywords, phrases, and other SEO techniques are working for competitors provides our experts with a base for forming or refining your strategies. We start by identifying the top three or four players in the space where you are operating. Our team will ask you for direct business competitor information, while we also research your online search competitors based on who is at the top of keyword searches and who is spending money on related online search ads. Our research into these companies will include backlink gap and keyword gap analysis. Backlink gap analysis shows us websites that link to those competitors but not your site. Keyword gap analysis demonstrates keywords with a high rank for your competitors but not your website. Building links involves getting other sites to link back to your website. Link building helps to drive referral traffic while it also boosts site authority. With search engines like Google prioritizing authority sites, link building is even more important to overall SEO performance. It is tempting for companies to try black hat SEO strategies such as building links through manipulative tactics. However, such tactics are an easy way to get a Google ban. They are also unethical, which is why our company does not engage in such practices. We focus entirely on natural link building. These links must be earned, not purchased or manipulated. Through a combination of crafting unique content, building relationships with prominent bloggers, and other strategies, the team at Arc Digitech will organically improve your link building significantly. By publishing organic and unique content, a website becomes an authority on a subject. 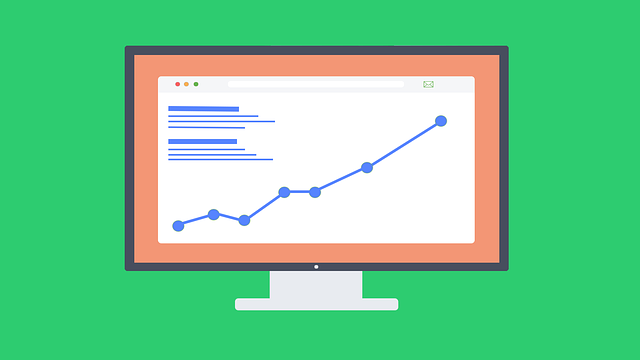 Given the importance of authority sites to Google search engine rankings and the connection between organic content and link building, the process is pivotal to your SEO strategy. We have a team of talented copywriters and industry experts to create unique, engaging and relevant content for your website. Content can be posted on your site, blog or released through social media platforms. Content must be one of a kind, which means it is written and published for the first time on your site. It must be relevant – delivering the type of information that people seek these days. Site content must be informative and useful to readers. The material must have a link to your industry, while it should answer common queries, concerns or interests of your target market. By producing consistent high-quality content, we ensure that your site assumes the position as the utmost authority on a subject. By combining engaging content with SEO practices, link building, and other strategies, your website will be at the highest position on search results pages. At Arc Digitech, we take your website ranking very seriously. We are the top search engine optimization service provider in Pune. Our premium services are available as a one-off or as an ongoing monthly process. Contact us today to establish the prominent, top spot on search results pages your company deserves.